Fort Lauderdale declared Beach Place, a popular outdoor mall in front of the beach on A1A, a nuisance to the city due to reported drug dealing and various other criminal activities in and around the bars and outlet shops of Beach Place. 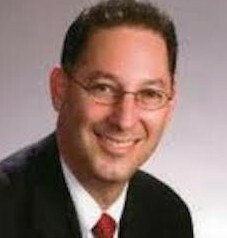 Lee Feldman, the Fort Lauderdale City Manager, threatened possible closure of the retail complex if problems continued. Owners of Beach Place previously promised additional security measures, which were never implemented. Recently, the city commissioners approved a new plan allowing an additional three months to step up security measures; it was decided that it would not be the greatest idea to close up shop during one of its busiest seasons. Commissioner Romney Rogers expl ained that he was worried Beach Place would end up like Riverfront complex near Andrews Avenue; once a popular location, but is now nearly empty. Commissioner Dean Trantalis wanted to revoke the special entertainment district designation; which allows multiple bars to set up shop on the property, and allows them to continue serving alcohol until 4 a.m. “As I listen and as I read what we’re talking about in terms of an enhanced security plan, I ask myself, are we talking about a family-friendly beach retail environment or are we describing San Quentin [prison]? This has gotten so out of hand it’s ridiculous.” Trantalis said to reporters. The new and improved plan calls for increased security measures, including: 300 hours a week of private security, along with two off-duty police officers every Friday night, all day and evening Saturday, as well as Sunday afternoons. Any special holidays, including during Spring Break, calls for additional off-duty police officers. Security cameras will have to be installed throughout the premises and drug-sniffing dogs are no longer required to be present; commissioners called for these last year. Officials are hoping these additional measures will curtail criminal activity. It has been reported that Fort Lauderdale police officers will be cracking down on DUIs stemming from the Beach Place nightlife. In three months, commissioners will determine if these additional measures have had a positive effect, and will review their decision. If you have been charged or believe you may be charged with DUI or any criminal offense, an experienced criminal defense attorney is imperative. Kenneth Padowitz, P.A. aggressively handles all State and Federal criminal charges. Contact our law firm to discuss your situation. Our Fort Lauderdale DUI Attorney will strategically develop a defense designed personally for you and your situation.